SELANGOR, MALAYSIA / ACCESSWIRE / January 25, 2019 / The advent of crypto currency and blockchain has fueled millions of ideas and thoughts, many of which have taken the shape of an ICO. While several ICOs are running successfully, a few have not been able to keep up with the pace. Their ideas may be influenced by the motive of earning profits, innovation of technology or with a genuine desire to support a cause. Increased population and upgrades in quality of life has resulted in a growth of agriculture production leading to escalated biomass waste. Emissions of CO2 and greenhouse gases are a direct output of incorrect management of biomass waste, aiding global warming and rising pollution levels. There is a dire need for a transition from fossil-fuel based energy production to renewable energy production. TerraGreen is a platform that strives to mitigate the negative impacts of industrial wastes on the environment. The modus operandi is to 'Go Green'. The project is a blockchain based renewable energy platform to generate biomass energy through micro-management of biomass waste. The renewable energy industry is presently centralized and the disposal of Biomass waste is largely unorganized and exploited. Thus, a direct participation of the users of renewable energy will ensure a global and decentralized Biomass waste management system. 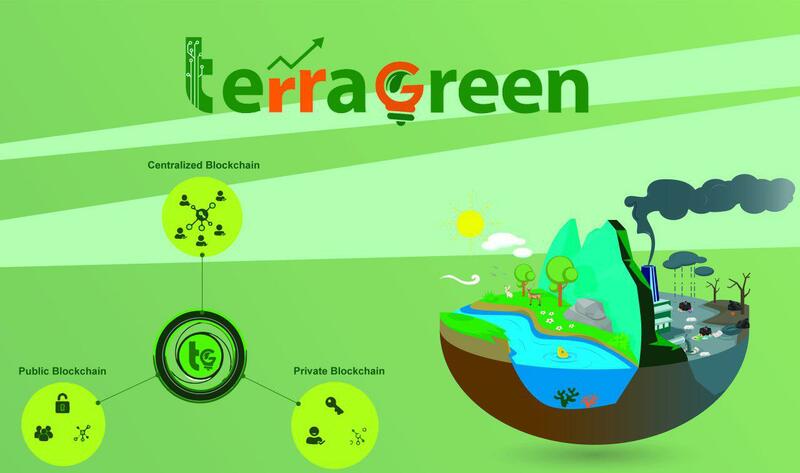 TerraGreen Coin, a product of the concept, will be the medium through which users can directly participate and vote for projects of the renewable energy industry. The currency distributed on global and TerraGreen's platform, is secured by renewable energy smart contract. Its value will be defined by the level of green energy produced and delivered to the end users. The idea behind TGN is to connect the interests of renewable energy production with the benefits of cryptocurrencies. The coin model is focused to make trading of renewable energy decentralized. It is a model where every individual or investor has control and responsibility of the production and use of energy. The TGN coin can be exchanged with cryptocurrency or fiat currency and the platform enables users to pay their bills with a combination of both currency types. TerraGreen is on a journey to become the leading digital renewable energy trading platform. It is a one of its kind venture that has taken world-wide concerns of global warming and climate change in its own hands. TerraGreen's initiative towards a green revolution is certainly a noble cause and will go a long way.